Aurivo is facing a storm of criticism following the announcement that the Co-operative is switching its butter packing operations from Achonry to Ornua, a new plant developed by the Irish Dairy Board in Cork. The decision, which potentially is set to affect the jobs of some twenty workers at the existing south Sligo butter plant, has been attacked by both Fianna Fail and Fine Gael Oireachtas members, but most hotly of all by south Sligo-based Independent councillor, Margaret Gormley. Interviewed by Ocean FM Radio, Gormley condemned the move as one where, she claimed, local workers were once again suffering in the name of cost savings. She said, “It appears that this is the norm for this organisation; move everything out of south Sligo and the area,” where, she went on, the co-operative was originally established. Questioning if this was reducing costs for the company, she said “to me, this is another example of staff taking the price for previous transactions. Fianna Fail Senator, Marc MacSharry said he was “devastated” by the news. However, it looks that Party leader, Michael Martin, who visited locations throughout the county during the weekend, made no comment to media on the jobs at risk in Achonry, nor does he seem to have met directors, staff or shareholders during the visit. From what we understand of it, however, the Aurivo Achonry operation is being subsumed in Ornua, an Irish Dairy Board sponsored state-of-the-art butter manufacturing facility erected at the Dairygold site in Mitchelstown. 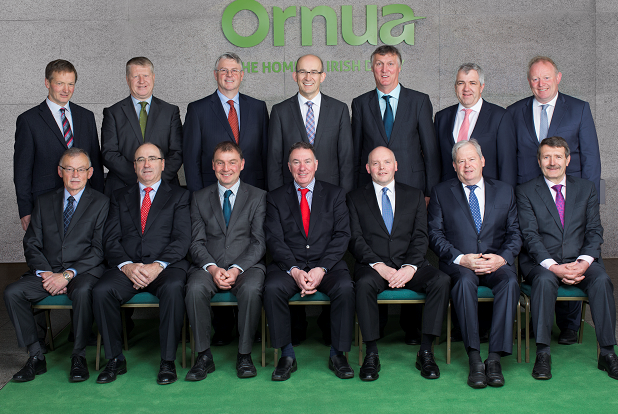 The chairman of the Ornua development is Aaron Forde, the current Chief Executive of Aurivo. 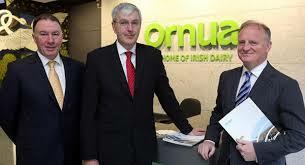 Mayo-based John Comer, President of the Irish Creamery Suppliers Association, is a board director of Ornua. Ms. Rodgers, when asked, said she didn’t know when the decision to transfer the Achonry operation to Mitchelstown was made by the Directors of the Aurivo board. 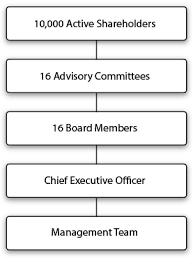 The board of Aurivo is made up of 16 members nominated by the co-operative’s sixteen advisory committees. Advisory committees are bodies made up of a minimum of 12 and not more than 24 members elected to represent suppliers/shareholders. It is believed that directors are required to sign a confidentiality agreement on appointment. The company reputedly has upwards of 10,000 shareholders, 950 suppliers and employs more than 650 workers across all sectors. Sligo News File understands that a meeting of the Achonry advisory committee was convened at 4 pm on last Friday following a notice circulated to members just that morning. Anger is said to have flared over the termination of the local butter packing operation, its removal to Mitchelstown and the future of the 20 workers involved. It doesn’t appear that Achonry or any of the advisory committees were informed of the plans for the butter wrapping facility until after the decision to turn it over to Cork was made. According to sources, Mr. Forde was among key Aurivo figures present at the meeting in Cawley’s Hotel, Tubbercurry. Sources have indicated that the meeting heard Aurivo has invested €2.5million towards capital costs in the state sponsored Cork-based Ornua plant. Whether the Achonry packing plant is incurring losses isn’t clear. Under the new arrangement, cream from milk provided by farmers in Connaught, and churned in the Aurivo plant in Ballaghaderreen, will be transported to Mitchelstown for the making and packing of the Connacht Gold butter brand. In other words, Connacht Gold will be produced by a Munster-based plant. The Munster made product will then be transported back to south Sligo for storage and distribution in Achonry. Meanwhile, says the company, Aurivo will maintain its butter making operations at Ballaghaderreen. A campaign last year seeking to persuade Aurivo to retain its head office in Tubbercurry was rejected by the company. It is believed its vacated Tubbercurry premises have now been leased to the town’s Chamber of Commerce for three years. The government is reportedly considering representations to fund the development of an enterprise at the building. Achonry was established by local farmers more than a century ago, in 1897.